Whoa. This book needs to be on your radar. No joke. I was all over it. If you liked Anna and the French Kiss or The Summer I Turned Pretty then you will like this one. I love this cover! It fits with the story line well. Plus I think the guy is hot in it. I could just stare at him all day. There is a creek in the neighborhood that Harley, Jason, Trent, and Shelly all end up meeting at at different times during the story. It's almost like a safe place. I found myself eager for the next time they would meet there. This is such a tangled web of a story. He likes her, she likes the other guy over there and he likes somebody else.Would they ever get with the right people?! There are some serious issues present here but all handled with finesse and care. I guessed early on what was actually happening but I wasn't positive. As the story went on I was wondering if I'd be right or not. Things got a little serious and glum and I just wanted things to go back to the fun loving attitude at the start, but you can never go back from these kinds of things. Situations and circumstances change us as people and hopefully make us better. That just makes reunions all the more sweet. I really really loved this book. If you are in a reading rut then this book will pull you out. The Truth About Faking is a fun and easy read that's going to knock your socks off. I'm adding it to my favorites list! I know you'll love it too. Given how much I loved the last book I saw you recommend (Nyrae Dawn's What a Boy Wants), I am definitely putting this on my wishlist. Thank you! Wow, this book sounds really good and is one of the reasons I wish I had a kindle! 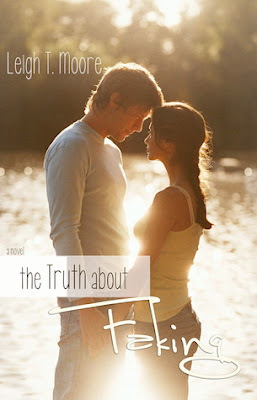 Have this on my TBR list...need to buy it.